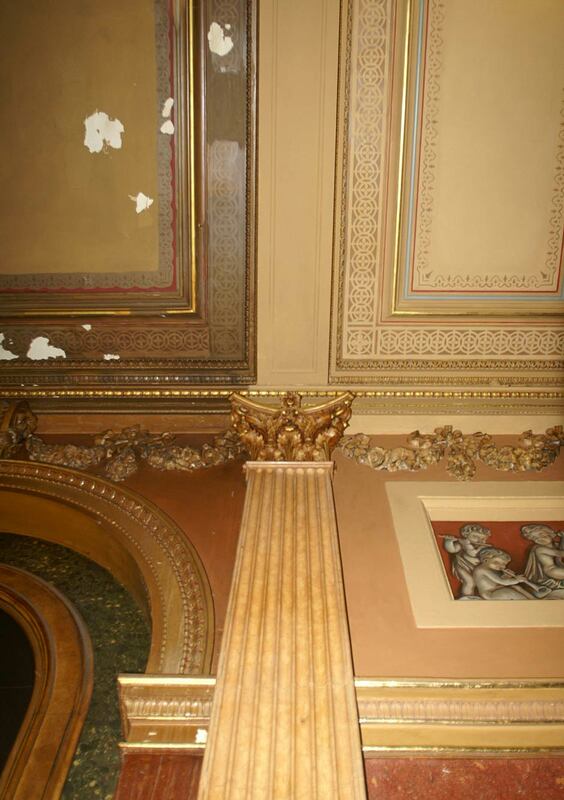 A 19th-century decorative interior scheme to the Upper Gallery, Grand Saloon, Main Staircase and Library, executed in oil, distemper and gold leaf on wood and plaster, and including extensive scagliola panelling, marble detail, and ceramic mosaic floor, ca.1840, to designs by the architect Charles Barry. 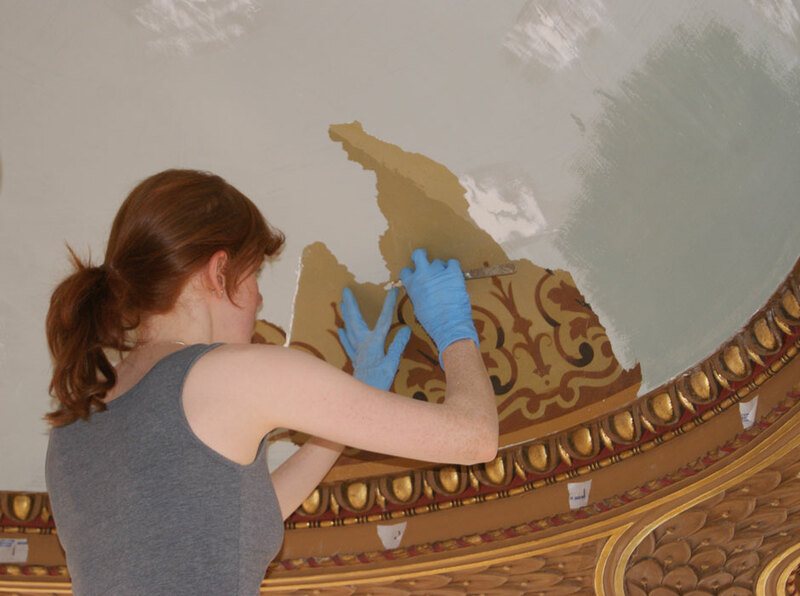 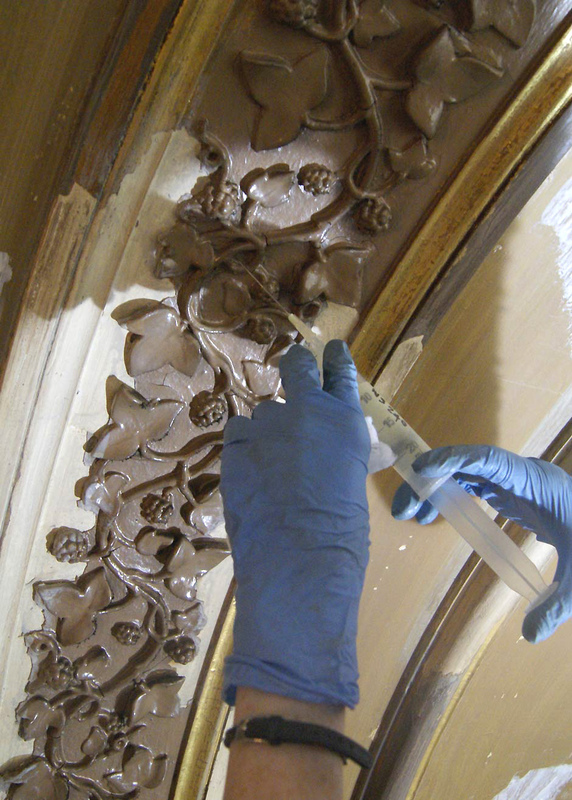 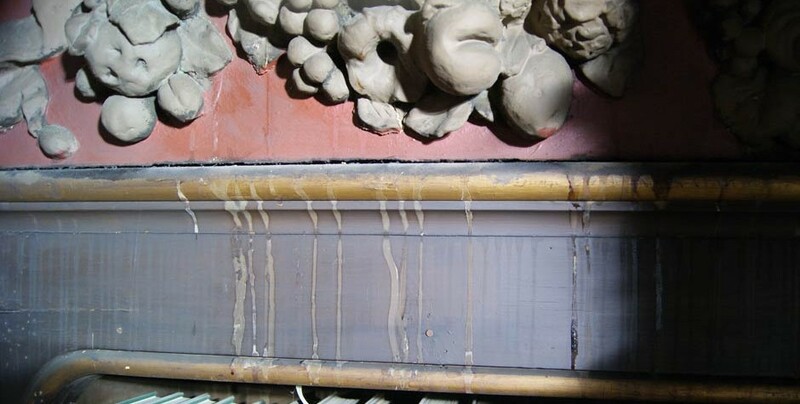 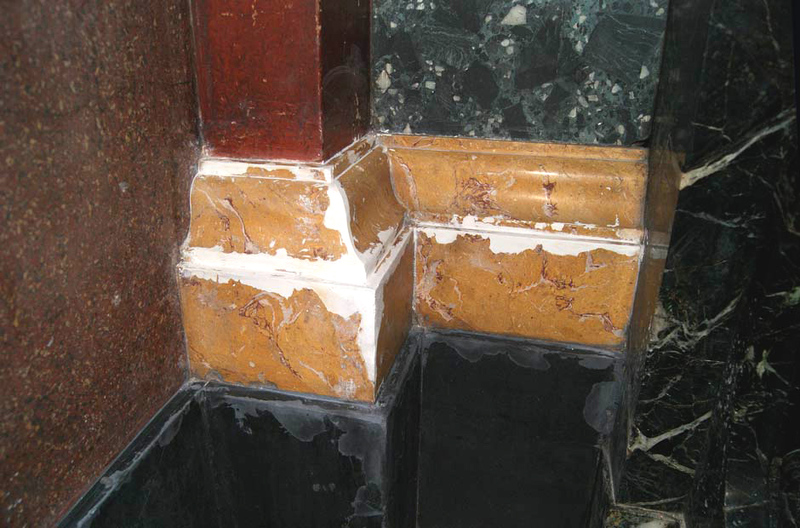 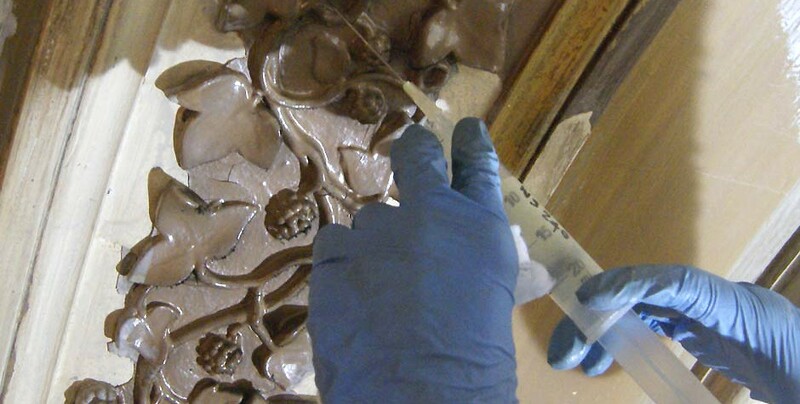 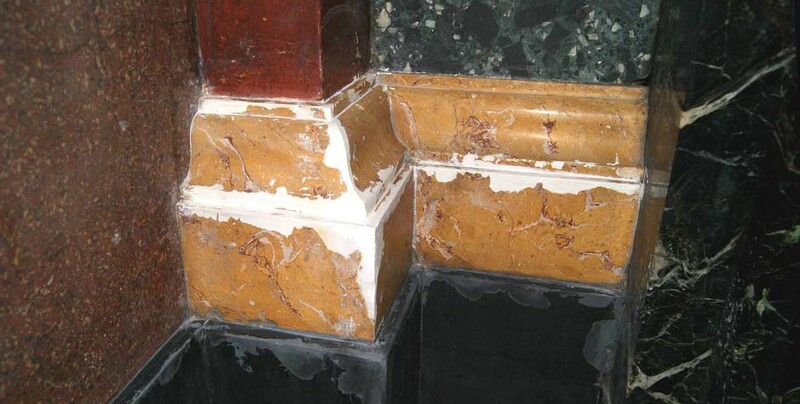 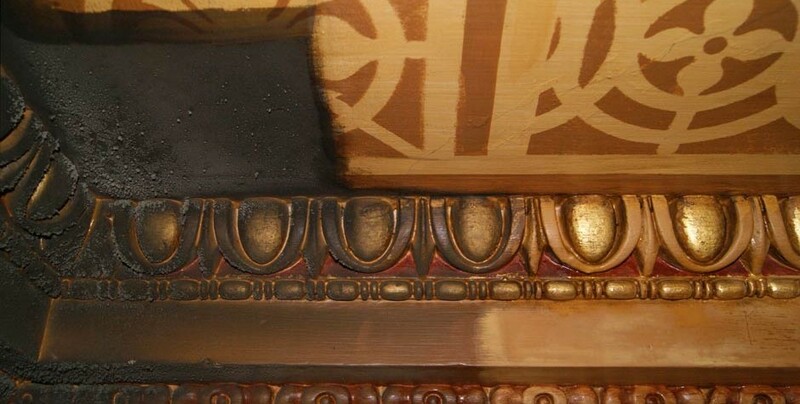 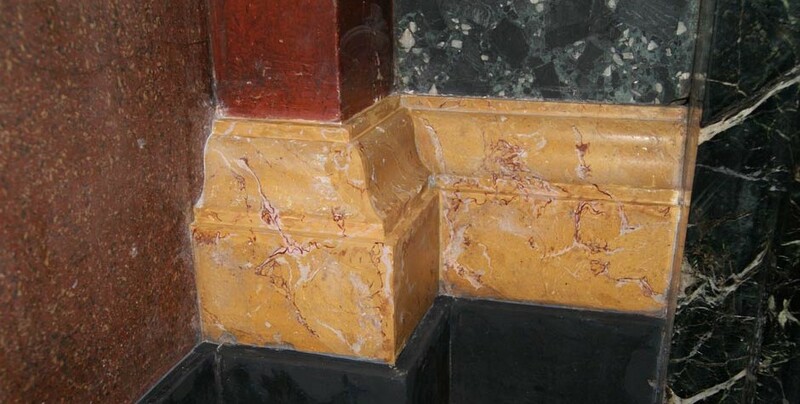 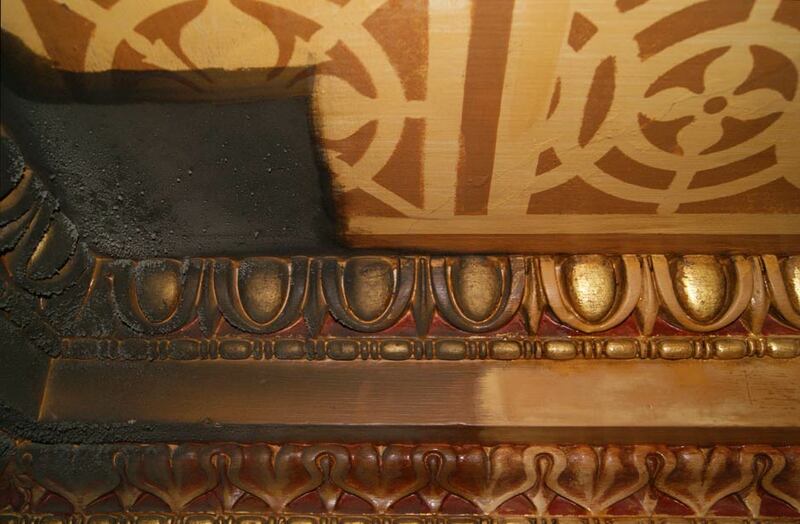 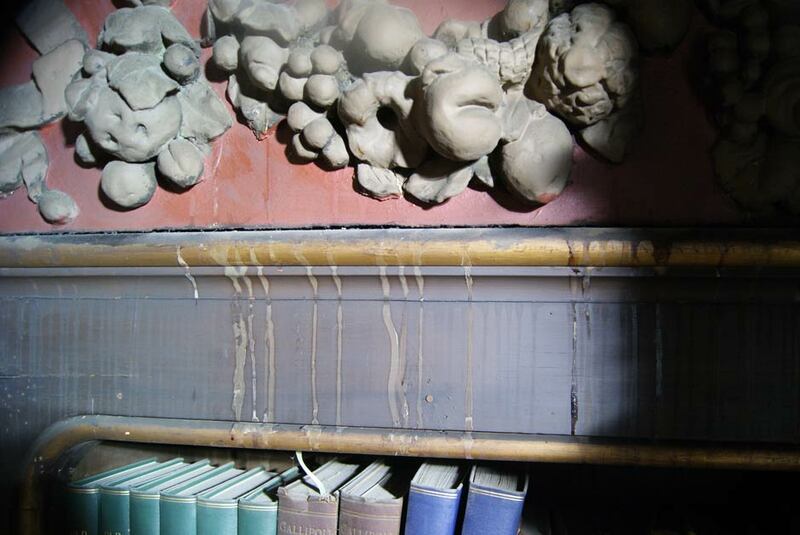 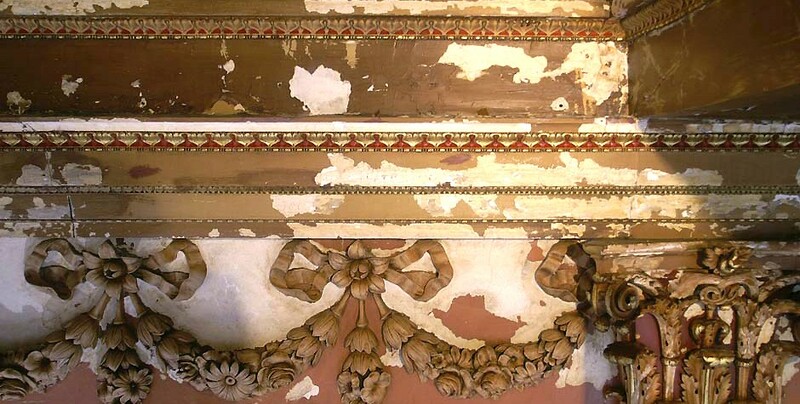 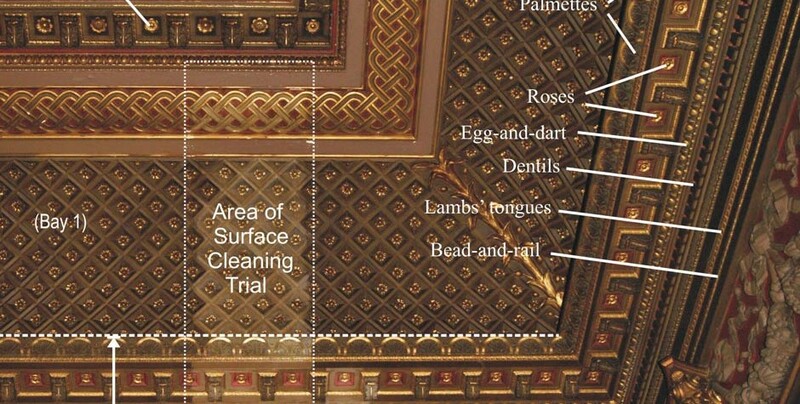 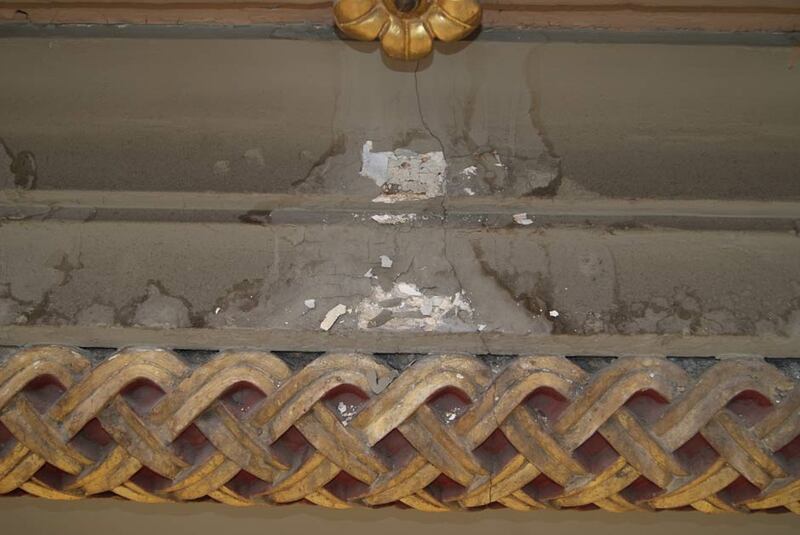 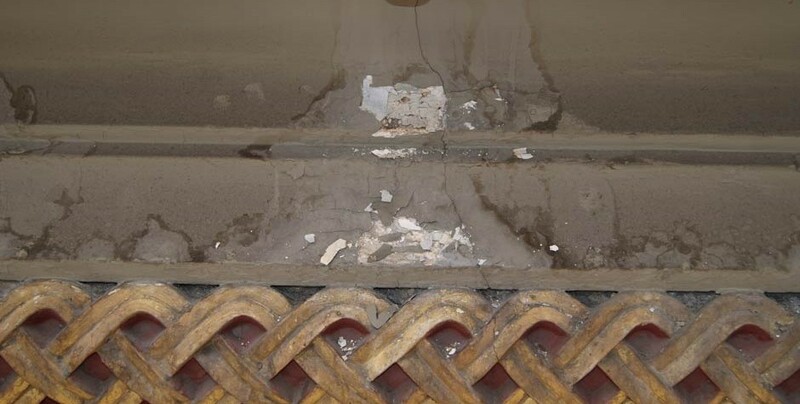 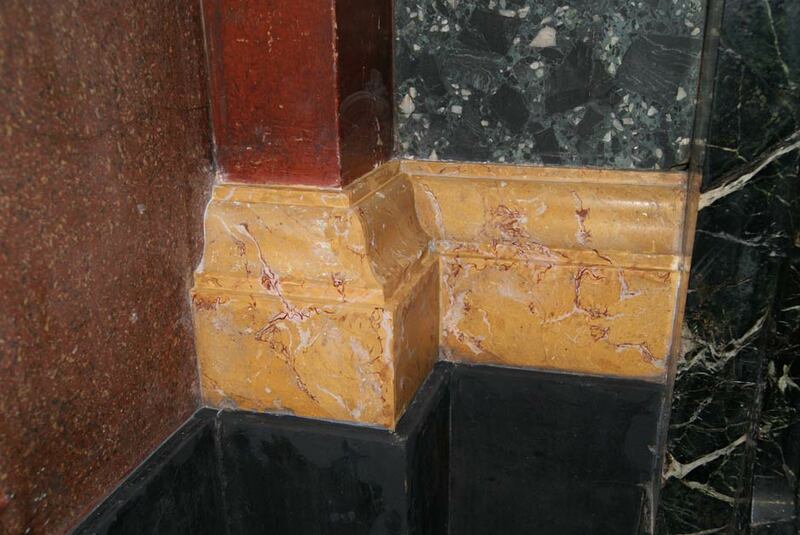 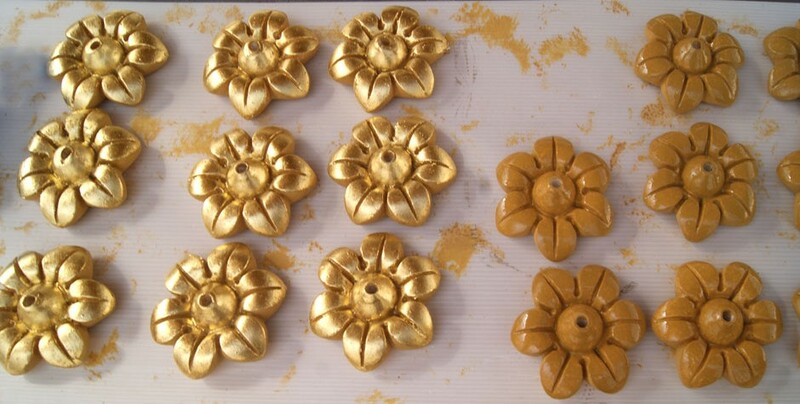 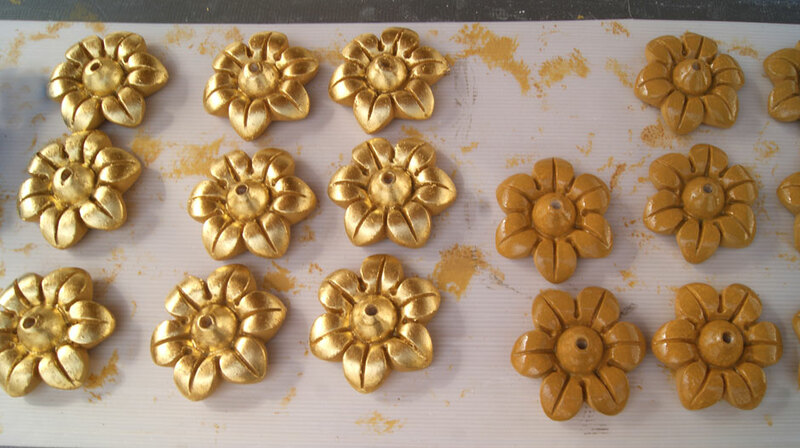 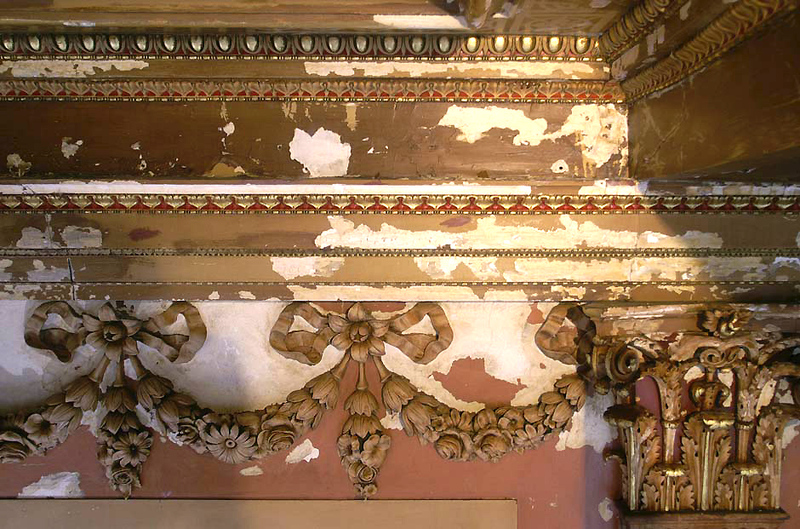 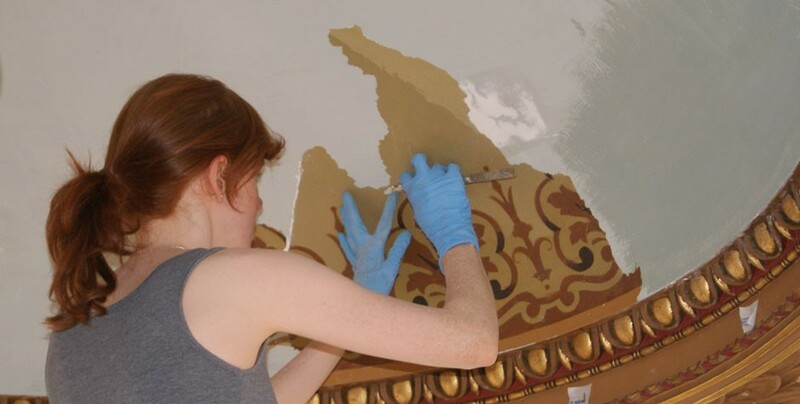 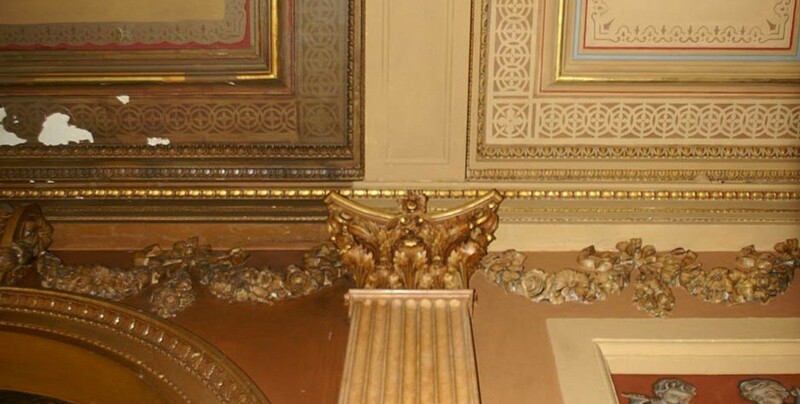 Treatment of this significant historic decorative interior included extensive consolidation of delaminating paint and plaster layers, surface cleaning, recovery of the original scheme by removal of overpaint, where possible, repairs to scagliola and plaster ornament, in-painting/gilding of losses and reconstruction of lost sections of the original scheme. 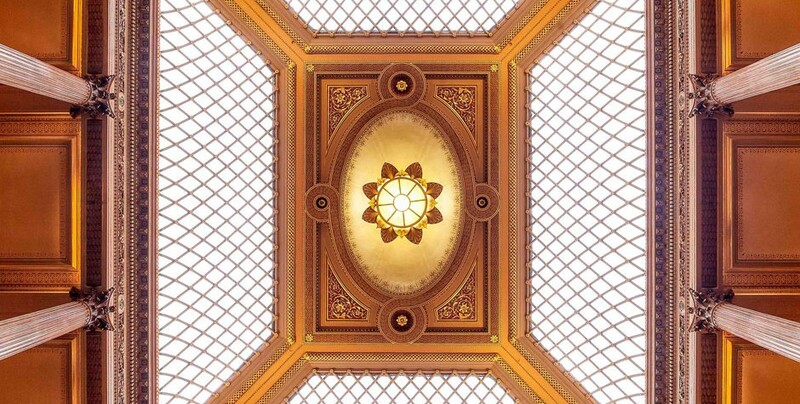 This long-term project also includes the design of an annual supervisory programme, instigation of climate control, advice on the installation of a new lighting system, and the development of an appropriate maintenance plan for the diverse decorative surfaces. 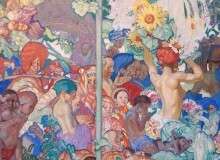 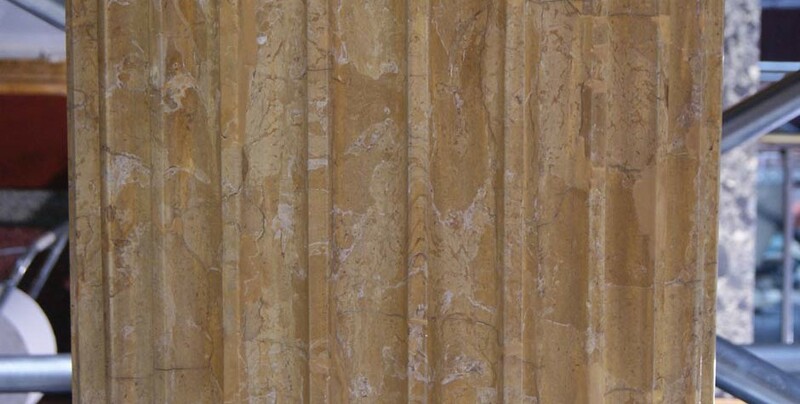 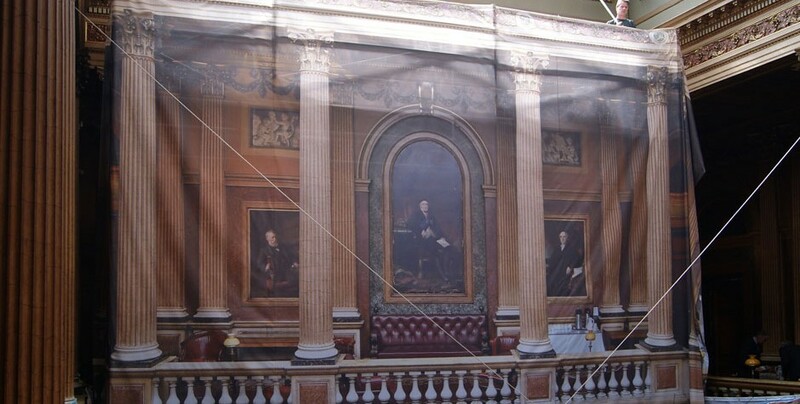 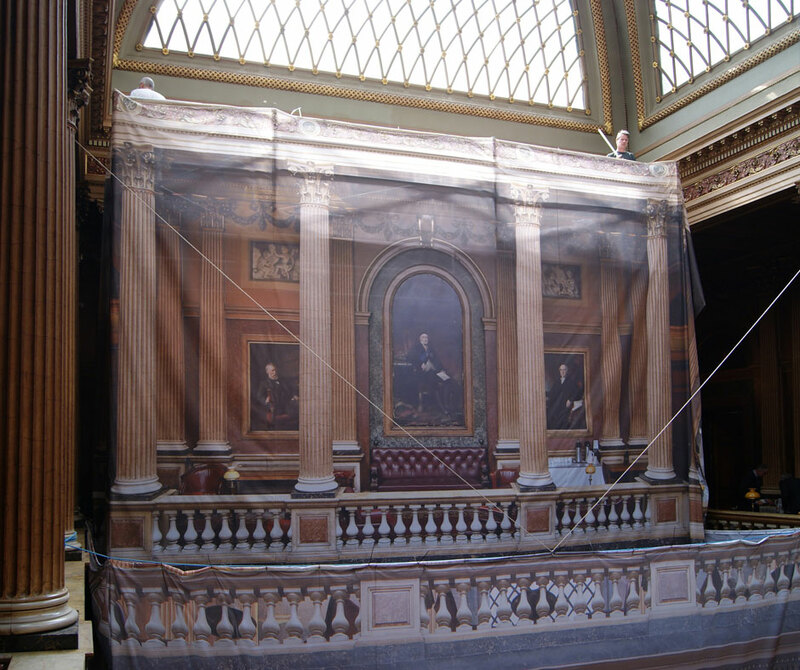 Also, 18 full-size portraits of important liberal political figures of the mid-19th-century were cleaned and restored, involving treatment for complex structural issues, such as failed marouflage, requiring removal of the paintings from the wall, and mounting on honey-comb panels for re-installation; or lining and tear repairs; removal of heavy soiling, and old varnish and overpaints; and sensitive retouching of losses and damages in the paint layers. 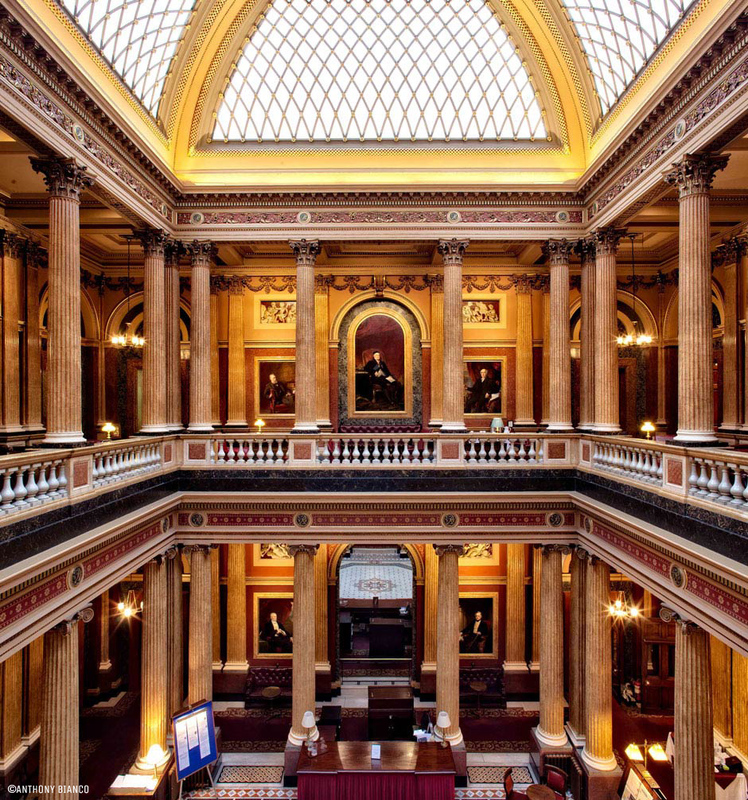 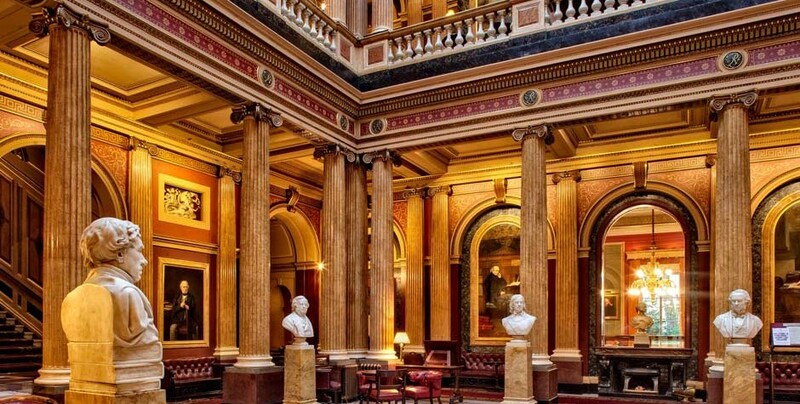 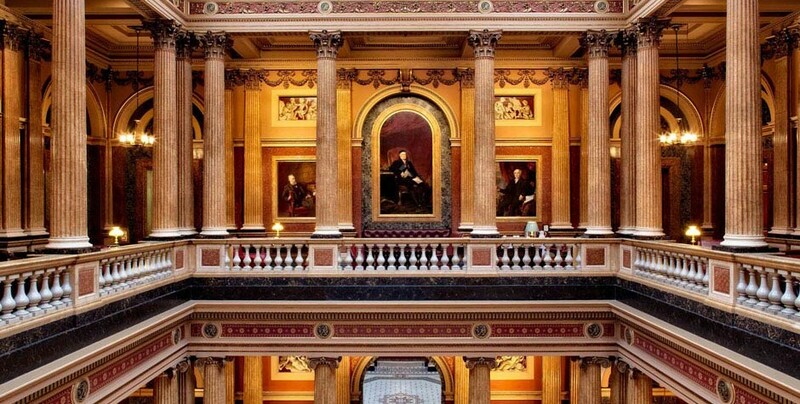 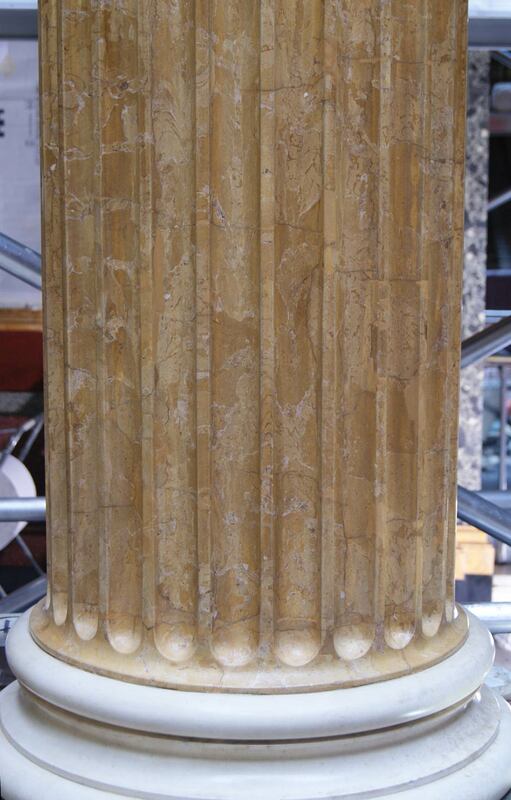 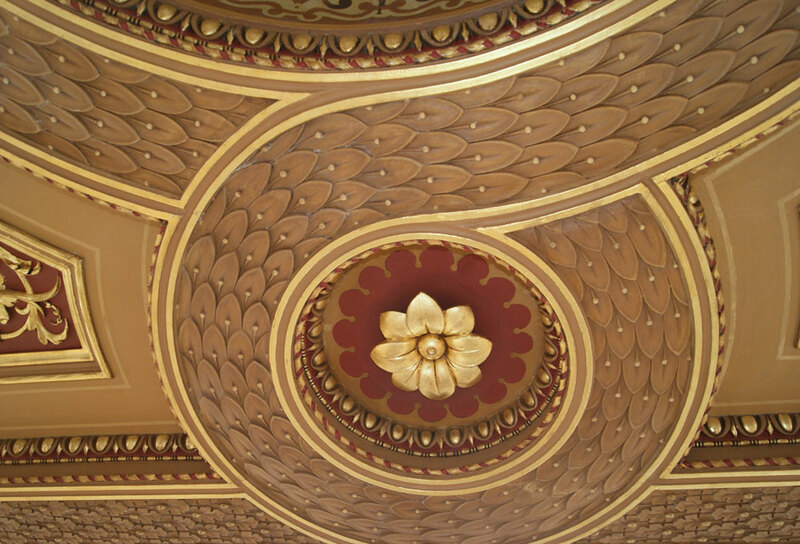 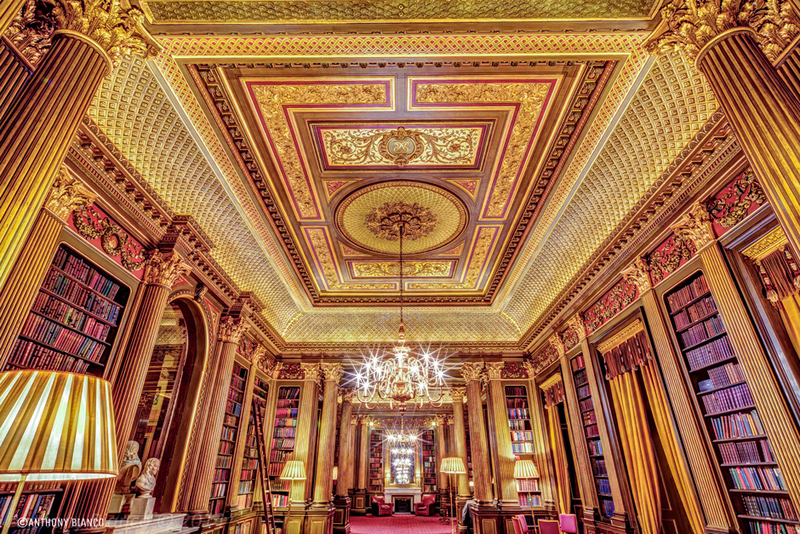 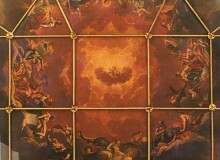 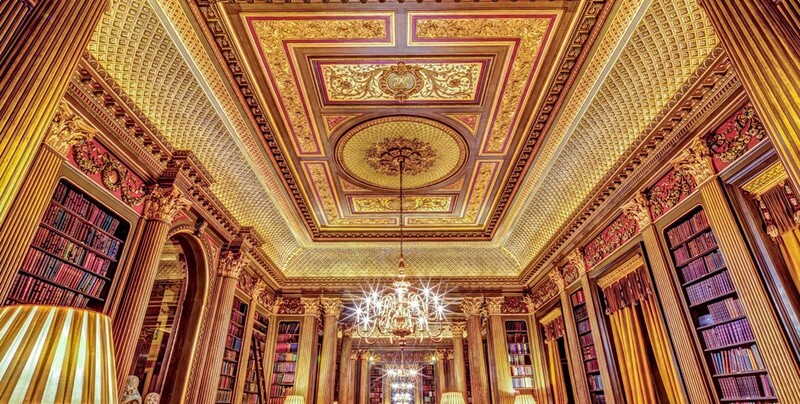 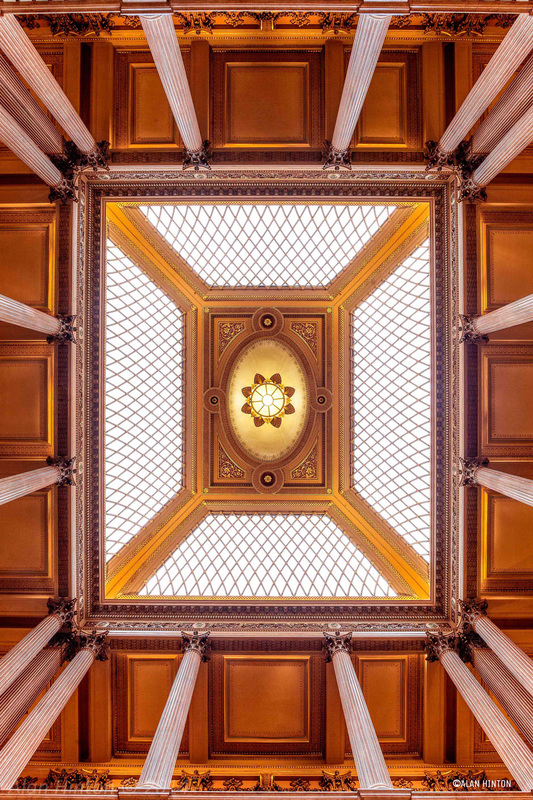 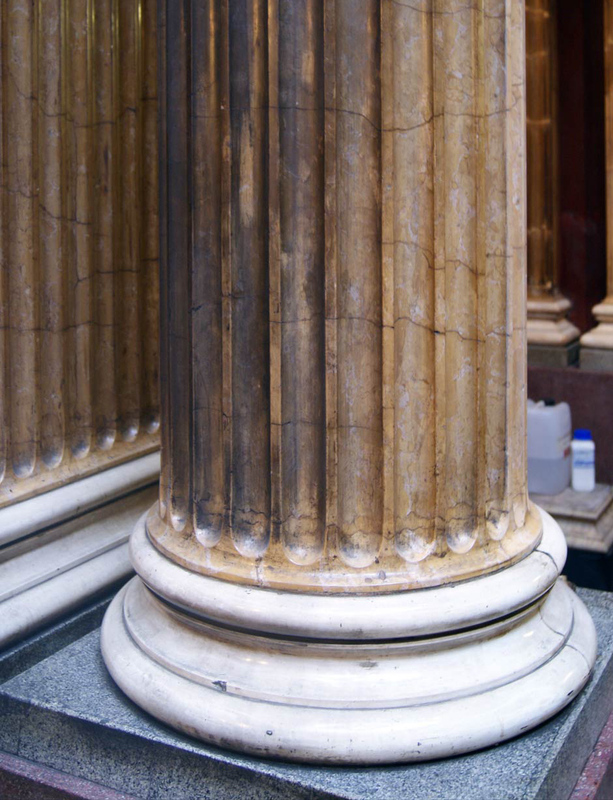 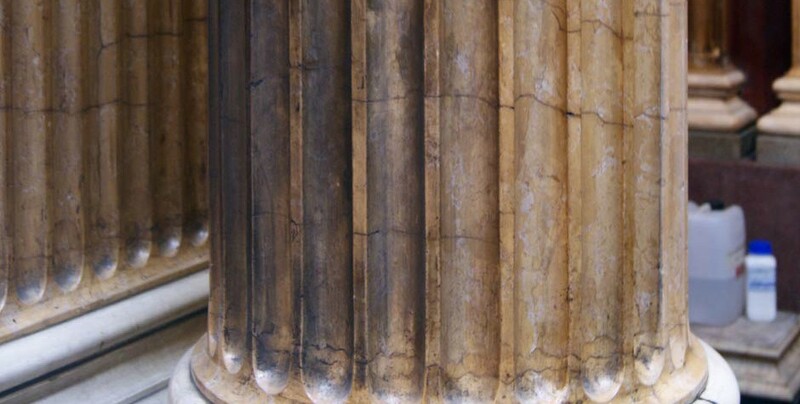 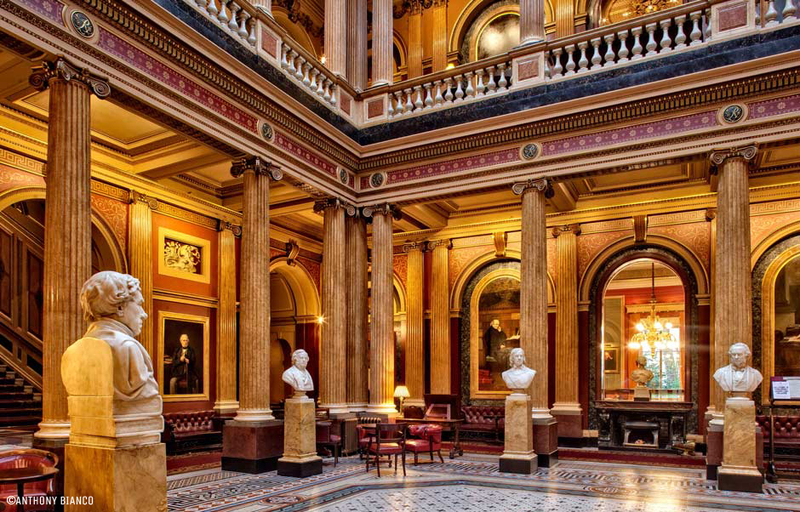 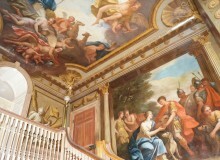 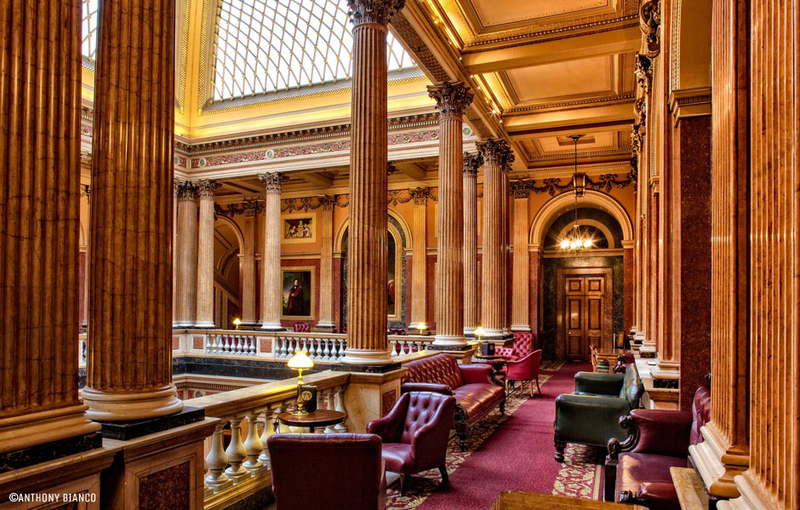 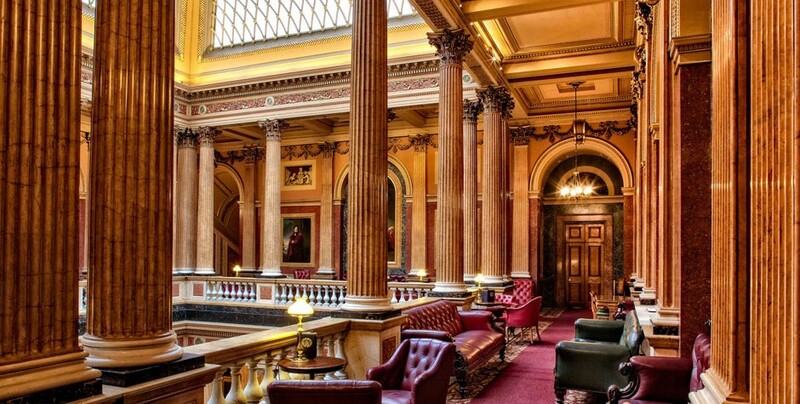 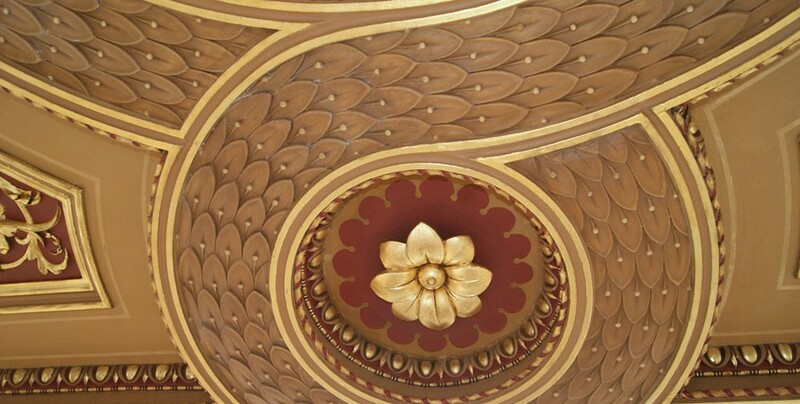 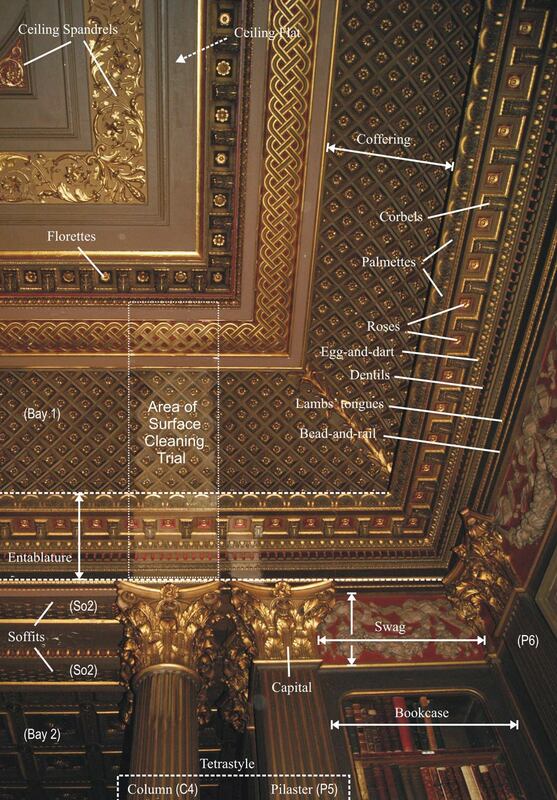 Take the 360 degree tours of our work at The Reform Club by pressing the ‘Project Link’ button.